This week I am thrilled to be interviewing author Liz Treacher. 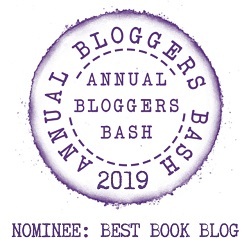 Liz will be sharing with us detail of her writing life, telling us all about her latest book ‘The Wrong Direction‘, which was released on 4th November 2018 and answering a few fun questions too. This post contains affiliate links. Liz Treacher is a writer and a photographer and a love of images influences her writing. She is married with two children and lives in the Scottish Highlands by the sea. I knew I wanted to be a writer when I was only about 5 years old! I loved ‘The Little White Horse’ by Elizabeth Goudge. It was the first book I’d read where each new chapter involved a switch in ‘action’ to a different subplot. I remember being led from one cliff-hanger to another and, a few pages later, being equally gripped by a new scene. I think this discovery, that a writer can turn the spotlight on and off different areas of a plot, has stayed with me and influenced my own writing. I also liked Alan Garner, particularly his book ‘Elidor’. I loved the collision between a supernatural world and ‘normal life’. Although I knew I wanted to write as a child, and started many drafts, I never got very far! So, at the ripe old age of 7, I decided that I didn’t have enough to say and gave up on the idea! But then, in 2015, and after several different professions – teaching, researching, photography and alternative therapies, I found myself drawn to it again. I think all those different jobs gave me the life-experience and confidence I needed to finally put pen to paper. My writing day depends very much on where I am with a book. If I’m in the middle of writing one, I can write up to 3,000 words a day, (half of which I usually delete the next day!) I can sit for hours in front of my laptop and forget all about the time. This is maybe the moment to show you a picture, not of my desk, but of the view from my desk. I’m lucky to live in the Highlands of Scotland and this is the scene I gaze out on. The view isn’t distracting if I’m writing and I once wrote through the most wonderful display of Northern Lights exploding in the night sky, because I was too engrossed in the plot to notice! I only heard about it the next day from the neighbours! However, if I’m stuck at an editing or redraft stage, it’s easy just to look at the scenery and count the sheep and I get a lot less done. 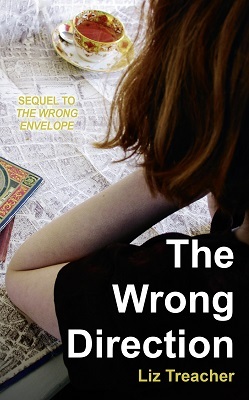 I’ve written two novels – ‘The Wrong Envelope’, and a sequel, ‘The Wrong Direction’, both published. They are set in 1920 and tell a light, witty tale of a romance between Bernard, a London artist and Evie, a Devon post lady. They use humour and irony to explore the years just after the First World War. Life was trying to return to normal but the shadow of the conflict still hung over everyone. I’ve also written a third novel, ‘So Long as Shadows’, with a darker, contemporary feel, but that’s still at draft stage. I think I’m both a plotter and a pantser. I tend to think visually when I write and I ‘see’ scenes in my head. So, with my first novel, ‘The Wrong Envelope’, the first scene I ‘saw’ was one of the final scenes, which takes place at a railway station. Then I visualised the first scene, in which the hero, Bernard, does something outrageous on a train. Then I had to join the dots between the two scenes and that took a lot of plotting! Autumn 1920. When Bernard Cavalier, a flamboyant London artist, marries Evie Brunton, a beautiful Devon post lady, everyone expects a happy ending. But Evie misses cycling down country lanes, delivering the mail, and is finding it hard to adapt to her new life among Mayfair’s high society. I stumbled across a tiny suitcase belonging to my late grandmother. It was full of letters written to her by two soldiers during the First World War. I was fascinated by their tone and content and ended up reading a whole lot more letters, even going to the Imperial War Museum in London to immerse myself in the way people communicated at that time. I wanted to write two novels that would explore letter writing, but I didn’t want to set them during the war itself. 1920 seemed a good year. Although the fighting was well and truly over, the effects were still being felt. Women found themselves in a very difficult position. They had possibly lost brothers or sweethearts at the front. Added to this, the jobs they had so competently covered during the war were being taken away again and given back to returning soldiers. I wanted to expose the problems people faced. Because ‘The Wrong Direction’ is partly set at Cambridge University, I also had to research what it was like for ‘blue stockings’, as women students were called, to study in the early 1920s. I visited Cambridge to get a feel for its tall towers and spires. Once I got going, it took about six months to complete the first draft of ‘The Wrong Direction’. I wanted to echo the ‘wrong’ of my first novel, ‘The Wrong Envelope’. Evie, the heroine of both books, loses her way a bit in the sequel, so ‘The Wrong Direction’ seemed a good fit. My two main characters appear to be very different at first glance. Bernard Cavalier is an artist: outrageous and impulsive. Evie Brunton is a no-nonsense post lady. He is Bohemian, she is middle-class; she is hard working, he is lazy, yet they have more in common than they realise. They are both quick-tempered, both affected by the First World War and both looking for excitement and	adventure. I was lucky to find an agent for ‘The Wrong Envelope’ and they helped enormously with editing. However, although there was interest, we couldn’t secure a publishing deal, so I decided to publish independently and I haven’t looked back. My paternal grandfather was a coal miner and worked as a coal cutter from the First World War until he retired in the 1960s. He told me lots of stories about his life underground and I would like to use them as a starting point for a novel, but perhaps told more from a woman’s perspective. I would love to be able to hear people’s thoughts. There is a beautiful film by Wim Wenders called ‘Wings of Desire’, and, near the beginning, angels get onto a crowded underground train. As they walk through the train, they can hear what people are thinking about. I would love to be able to do that! Sorry, I don’t have any pets. I would be Hilda Braithwaite, an eccentric botany student that Evie shares a house with in Cambridge. She wears velvet coats and long scarves, collects plant specimens at night and introduces Evie to feminism and comets. I would like to say a big thank you to Liz Treacher for sharing with us details of her writing life and for a wonderful interview. Her books sound really good. I’ll have to check them out!! I’m glad you like the sound of it. I love the title of the autobiography “Better Late than Never”! I agree it’s a great title. I know what you mean. Reminds me of the film ‘What Women Want’. I’ve never heard of this author, but this was a lovely interview! Thank you. I’m happy to of put her on your radar. Lovely interview. I Like the look of Liz’s book. I like that she is both a plotter and a pantser! Wow that view is beautiful! Great interview! I know the view is lovely. Thanks. great interview! Wasn’t familiar with this author yet, but I’ll definitely look into her. Thank you. Everyone loves the last question. Great post and interview Liz Treacher and her book are new to me, thank you so much for sharing your awesome post.